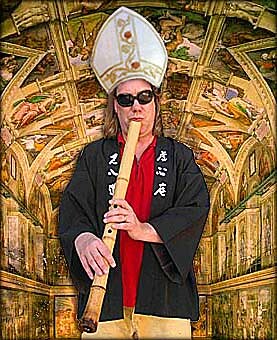 ... "Take me to your shakuhachi player." Thank you Mr. Moran for another religious figure to worship. As for our representative to the aliens, I think you would be a good (inter)stellar candidate. Or is your planet in this solar system?